S upple and sway. 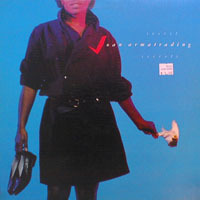 The best Joan Armatrading albums have them. Beginning with Me Myself I, Joan started making more jagged music: edgy, off-kilter synthesizer rock. Something very human remained at the core of her music, but it was often tramped out like a little girl in lipstick and high heels. “Talking to the Wall,” now that’s the graceful Joan I remember. “Thinking Man” and “Temptation” are perky, “Love By You” is sad, “Strange” luminous. The rest of the record is a little wobbly and too made-up. “Persona Grata” and “Moves” are overproduced. “One Night” is overwrought. “Friends Not Lovers” was over when disco ended. 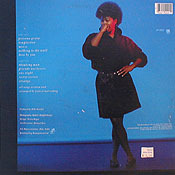 The secret is that Joan is far more talented than this album lets on. On past albums, she played piano and electric guitar. Here, she sings and strums an acoustic guitar you hardly hear. 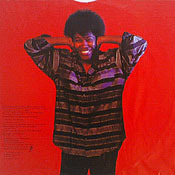 The Joan Armatrading of old could be awfully dry, I’ll admit, but at least she wasn’t noisy. Secret Secrets is noisy sometimes (so was The Key), and that noisiness undermines her ability to communicate with us deeply when it counts. When I listen to Track Record, I get shivers. For me, the shivers stopped coming with The Key. 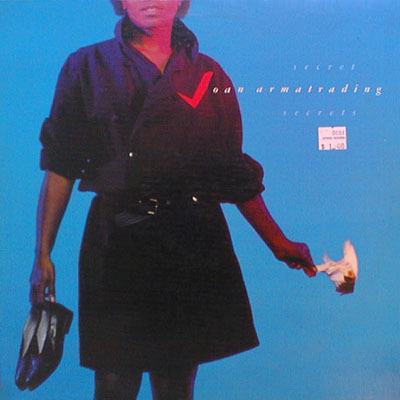 My world didn’t have a place for an aggressive Joan Armatrading surrounded by synthesizers. Secret Secrets is still a good album (I’m pretty sure Joan is incapable of making a bad one), but it’s also the second album in a row that wasn’t great. Sleight of Hand made it three in a row. Maybe Joan was sidetracked by her own success. Maybe she wanted to make masculine music. But beginning with The Key she got crowded out of her own records, and I came here mostly to hear Joan, not an entire band. There’s also a review at All Music Guide.